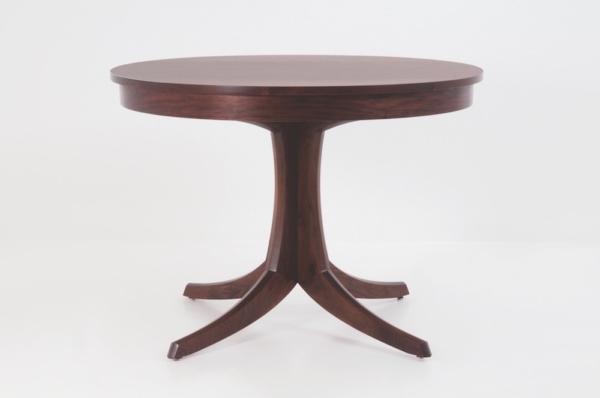 The Georgetown Dining Table is the hallmark of our Georgetown Collection, establishing its design as both traditional and evolved. The table rests atop a pair of innovative hardwood feet that each splay in three directions to provide a solid, stable base. Legs join the feet as they make their vertical climb to the base of the table top, where their meticulously crafted joinery is concealed behind a curved skirt that circumnavigates a recessed path around the entire table. The Georgetown Dining Table embodies our commitment to quality and simplicity, inspired in part by contemporary American stylings. With its curved table top, the Georgetown Dining Table leverages the beauty of its hardwood fabrication, creating a broad table for dining, with ample room beneath for a well-populated assemblage of diners. 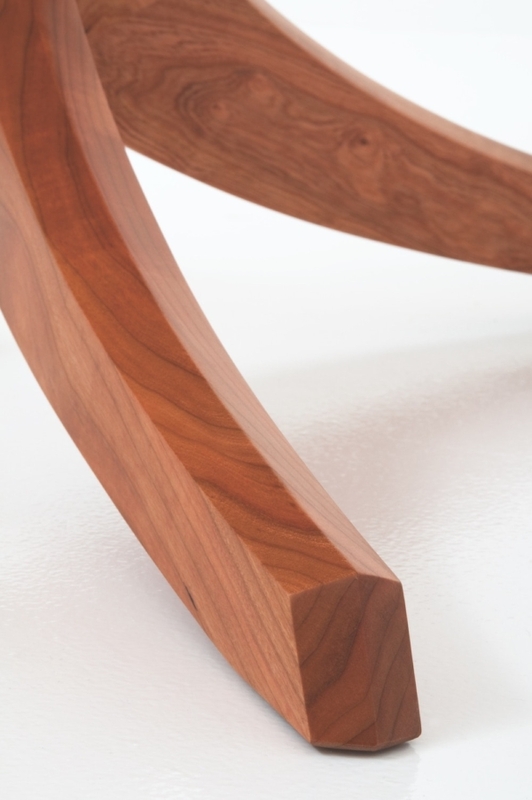 The eight-faceted legs capture and play with light, revealing the unique properties of the natural material of wood. 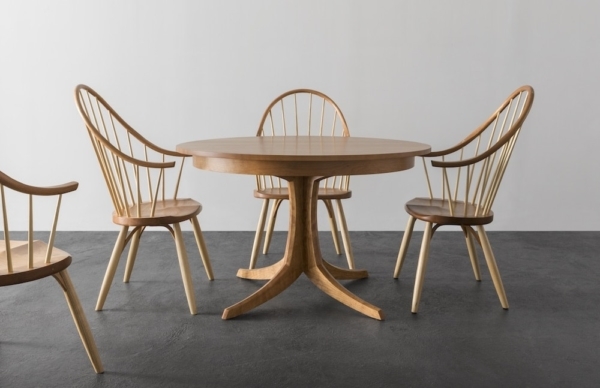 They are crafted to form a gentle curve, rising from the floor, and are affixed with traditional joinery form a firm, stable platform. 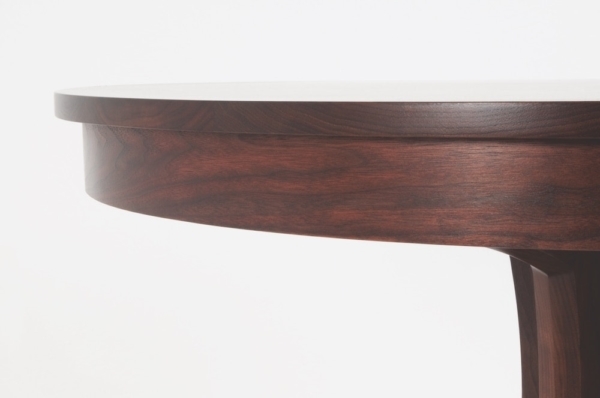 The skirt of the table provides added support for the top’s broad surface and mimics its shape, recessed from the edge for added visual appeal. 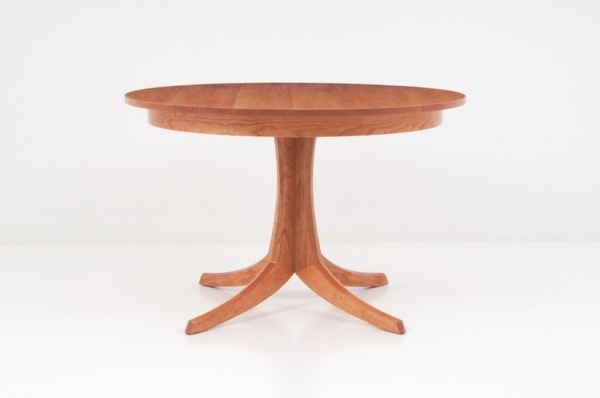 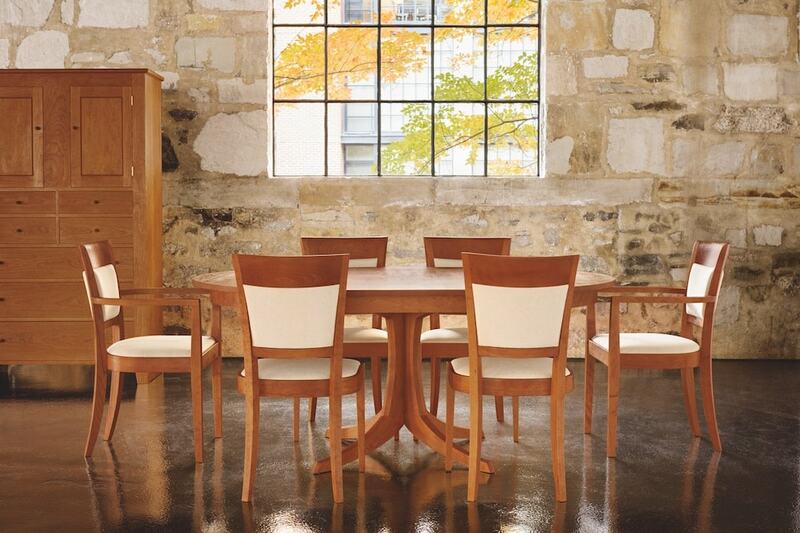 Because of its unique leg design, the Georgetown Dining Table provides generous room for nested chairs, and for the feet and legs of a large dinner party. 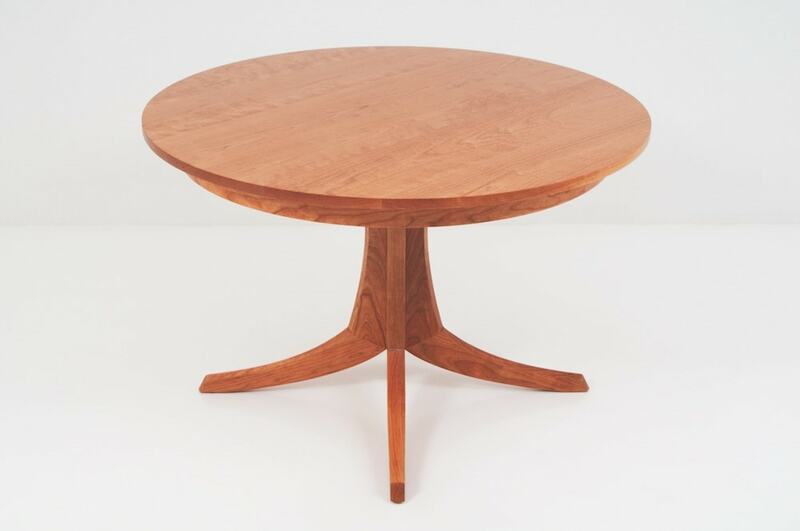 Hand-finished to perfection, the table matches well with any dining seating in our portfolio and works with a wide range of dining case options. 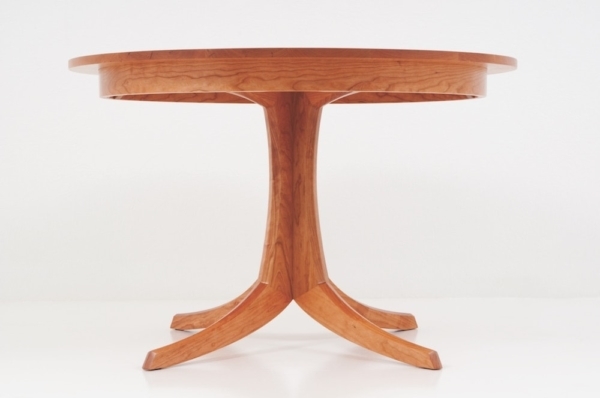 The Georgetown Table is available with a solid top or with a single leaf extension.